Motor skills (see full Glossary) are highly developed between ages 8 and 10, and in many ways, resemble the motor skills of adults. perform somersaults (Fig. 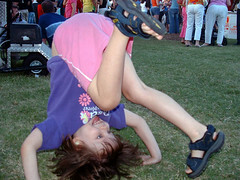 2) and cartwheels (Fig. 3). 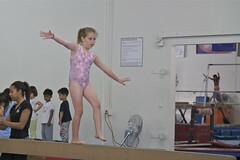 Children ages 8 to 10 years have a lot of physical energy that needs to be released. When planning their daily schedules, make sure you allow time for physical activity, every day of the week.